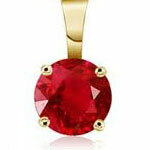 Ruby is the Gem of the Sun, it is of Singh (Leo) Rashi. One who wears it, becomes courageous ,fearless ,strong ,firm & stubborn. It increases lustre in the body. The wearer becomes fortunate and occupies prominent & higher status in society. It helps promotion in service. It is said that in distress it grows dim, but when the distress diminishes it regains its original lustre. 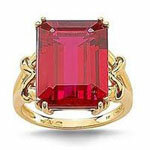 When to wear the Ruby Gem ? 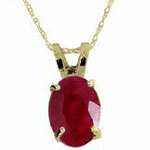 According to astrologers Ruby is worn in the phase of the sun. It is put on the neck, arm, or ring finger, with due regard to the vocation the wearer is following or to the group to which he belongs. It should be worn in the morning at sunrise on Sunday. This is hotter gem and it produces heat in body, so at the time of suffering with fever it is warned not to wear for some time. When the Sun's Mahadasha is running it should be worn. If in your horoscope sun planet is weak, you will face a number of diseases and troubles, so wearing of Ruby will minimize your troubles. 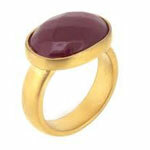 Ruby being the gemstone of the planet Sun, helps in overcoming the negative effects of this planet. It is prescribed in loss of blood, gastric trouble, headache, diseases of the heart, diminished vision, indigestion, prolonged fever, loss of appetite and various mental troubles. 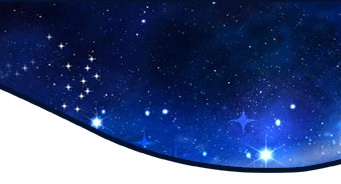 The right eye becomes weak if your sun planet is weak.